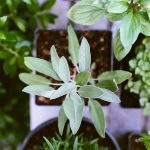 It is not uncommon to find aromatic herbs that can help us on the spiritual side. Bay leaves are one of them. Used since antiquity for different purposes, this herb continues at the top of the list of medicinal and spiritual properties. In this article, we are going to tell you everything that bay leaves carry. Bay leaves are the leaves of bay laurel, a plant native to the Mediterranean. The people of there considered it a noble plant and for that reason they made crowns with their leaves like a symbol of the highest social status. Just remember all the movies we have seen about Greek and Roman emperors. Ancient witches also treated the bay leaves as a powerful instrument. They put the leaves under the pillow and sometimes even burned them in some ritual. All because they believed that this herb was able to promote inspiration and psychic visions. This herb has properties so strong that it has been able to cross centuries and reach us. Nowadays, it is widely used in gastronomy. People who like and know how to cook, use bay leaves in many recipes like sauces, stews and seasonings for meat. Its smell and taste are unmistakable. The essential oil of bay leaves is what gives a high medicinal power to the plant. Basically, it contains eucalyptol, cineol, some terpenes and lauric acid. This composition is great as a natural insect repellent, for example. On the astral side, bay leaves are a symbol of protection, prosperity and good fortune. In addition to removing negativity and purifying the environment. If you want to take advantage of the properties of this plant physically and therapeutically, resort to teas, infusions, oil and creams. You can find these products ready to go in natural products stores. Or simply, make your own tea boiling some leaves. Drink when you feel sick of your stomach. And if you can not wait to use bay leaves in its spiritual form, you can start by making a cloth bag and putting some leaves inside. Hang behind the front door of your house and it will be protected from negativity. You can also prepare a bath with the bay leaves. Boil water at the rate of 10 leaves for each litre of water. As soon as you start to boil, turn off the heat and put the leaves in the water. Wait for them to cool down and, after your usual shower, throw the preparation from the neck down. This bath is good for combating anxiety, making energy flow and invigorating your physical and spiritual body as a whole. It is like a real reset for when you feel overwhelmed.